CalSmile Family Dental (San Jose) - Book Appointment Online! From the day you first visit our office, you will be member of our dental family. 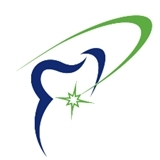 We will cater to your dental needs. As part of your first visit with us, you will fill out a comprehensive medical and dental history. These forms are important because they help us to determine the course of your treatment. We have to know about allergies, sensitivity to anesthetics, long-term medications, etc.